It seems like only yesterday that I started Evolutio. Initially it was created as a way of improving the care and advice to CrossFit athletes throughout Melbourne. It turns out, that as a practitioner, I felt that in order to get the best out of myself, I needed to work with athletes that naturally interested and inspired me. In fact, this was originally a tough choice, for many reasons. Firstly, CrossFit athletes for instance are in some ways harder to treat than the normal population, but in other ways easier. Take for instance the complexity of the issues. Chronic injuries for instance, usually have an overload component through various muscles, ligaments and joints, leading to deterioration at one or more of these areas. This overload happens due to a concoction of potential programming and muscle weakness, but not necessarily at the site of injury. So it takes a lot of work and thought to understand what and why this is happening with these athletes. So it takes a certain practitioner, who demands the best of themselves to want to work with these complex clients. On the flip side, I’ve found these athletes are dedicated to their health and fitness, the uptake of their rehabilitation program is higher and they follow advice and re-book more consistently, providing better long term results. Fast forward to the present day and I’ve been extremely lucky to attract some of the finest practitioners not only in Melbourne, but from my experience and knowledge, some of the best in Australia. Their thirst to work within a dynamic business, which is trying to push the boundaries of what we can do as a company in the health field, but also as individual practitioners is a like being part of a team that wins 36 games with zero losses through a season. A successful, positive, creative and autonomic culture and feeds further success, inspiring those working within it to continue reassessing their goals and reaching further to what they thought was unattainable. In the last six months, we’ve added Pep Karalus a sports podiatrist to our team after an extensive search to find a podiatrist who didn’t believe in orthotics. Pep is one of the best biomechanical minds I’ve met, this has complimented our team of Jacinda Cheong, one of the most highly sought after physio’s for olympic lifters and crossfitters in Melbourne. In addition to James Brooke and Matt Hamilton Ho both without a doubt two of the smartest and best hands on physio’s I know. We’ve also continued looking after our staff as a number one priority. Providing them with stock options, providing business development and continued to utilise their skill sets outside of the clinic for personal and business growth. Afterall it’s not just what a person is qualified in that defines them, individuals have many other skill sets and interests. As a business owner I feel it’s important to tap into these and foster these in addition to their work roles. This is working. We now see an average of 100 clients a week through our rooms here in Melbourne, with a large proportion still CrossFit athletes, but also olympic lifters, powerlifters, rugby, AFL, elite runners and everyday athletes. 2016 looms as a major year in our growth. We’ve stamped our foot in Melbourne and presented to clients the level of service they should expect from their physiotherapist or podiatrist. We’re also now comfortable with who we are as a business and our vision. Not that we will settle, but we’ve continued to stand ourselves out from the crowd, be ourselves and not worry about the competition. If we want to run a quirky social media post, we’ll do it, if we want to write a controversial blog, we’ll do it, this is who we are, and the hardest thing in business is to keep your uniqueness when everyone and everything is trying to pull you to the middle ground or path of least resistance. In two weeks, we will start the internal fit out at our new location in Bromham place, Richmond after 2 years of subleasing space within strength and conditioning/CrossFit gyms. With plans to be operational here in mid may. Our new space will redefine what you have come to expect from a sports medicine clinic. With three floors within a modern warehouse design. The ground floor will be an innovative design incorporating a large wooden table as the waiting table, a separate floating wooden work station for our staff and work stations for clients. artists impression of the ground floor. Our kitchen will have coffee, beer and wine available for clients as they relax and wind down for their appointment. The basement will be an 80sqm strength and conditioning gym, with rehabilitation equipment as we aim to offer an annual membership for our clients to be able to access our facilities during work hours and fit rehabilitation into their schedule, opening the option for rehab prior to, or after consultations. Our treatment rooms will be constructed in a delicate yet sophisticated manner, as we push to have open ceilings and wooden slats over the rooms, to provide an industrial yet tranquil environment for sessions. Over 2016 we will run continued workshops for high level athletes, as well as starting a professional development program for physiotherapists and podiatrists in Melbourne. This will aim to target those practitioners who are keen to push the threshold of what they know and how they treat, as we aim to spread our knowledge and experience. We also aim to add a myotherapist, sports doctor, additional physiotherapists/ podiatrists and eventually a GP to our team over the following 12 months, as we aim to provide clients with everything they need, within one ‘properly’ integrated and creative facility. I thank you for being part of this amazing journey so far and I’m excited to share the future with you. 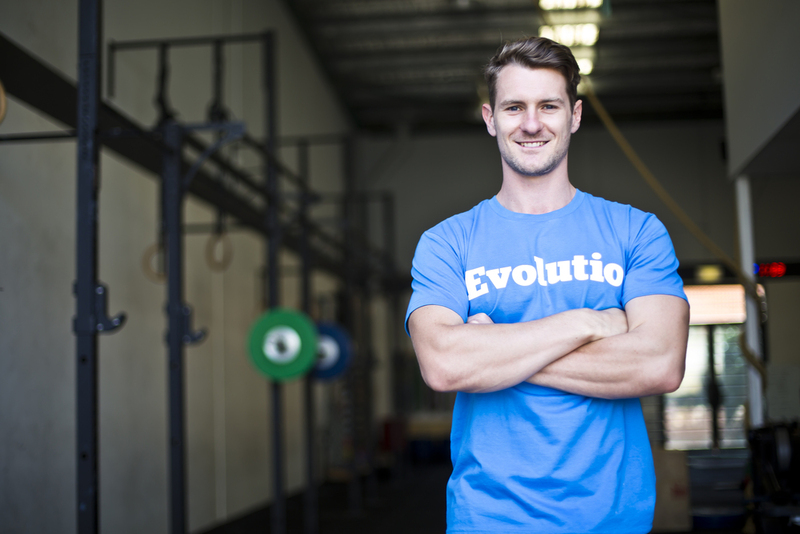 Alex Drew is a Physiotherapist and Founder of Evolutio which is now located at South Yarra in addition to Kew, Melbourne. 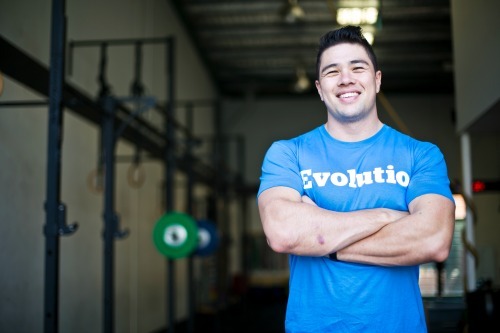 Evolutio specialises in Physiotherapy and Podiatry treatment for high level Sporting athletes, CrossFit athletes, Powerlifters and Olympic Lifters. Evolutio will soon move to a new premises at Unit 11, 3 Bromham place Richmond, where it aims to continue to take over the Sports Medicine market in Melbourne by providing outstanding service within a creative and innovative building.